“Your statutes have been my songs in the house of the sojourning. I remember your name in the night, O LORD, and keep your law. This blessing has fallen to me, that I have kept your precepts” Psalm 119:54-56. The past several years have brought some of the steepest and rockiest paths I and my family have ever walked. They have been spiritually treacherous paths that have left their mark physically and mentally. 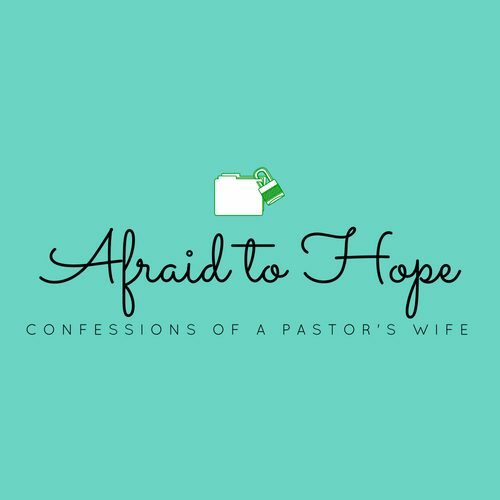 This toll has at times threatened my hope, attempted to divide my marriage, sought to steal the heart of my child, and there have even been times that it has threatened my desire to live. The Christian life is not made up of roses and champagne. It is not a place where we wine and dine ourselves as we wait for the Lord to come and retrieve us for better things. This life is a war zone! We are fighting for a cause greater than anything else. I’ll be the first to admit that I truly had no idea! I have been a blessing chaser for so many years as a Christian. I have spent myself on behalf of the blessing. When it didn’t come in the way I had envisioned I have so often been angry with God. My entitlement has spoken much louder than my understanding of my title as servant. There have been so many things that I haven’t understood about blessings. As I read the words of David I had a true “light-bulb above my head” moment. The blessing isn’t the pot of gold at the end of the rainbow! That’s not to say there aren’t blessings for our needs. I am walking proof of this. There are so many instances I could share where God has used his people to reach out and take away a burden I couldn’t pay for on my own. These blessings are remarkable and precious but I would be remiss if I thought all God’s blessings were only monetary. I would be left to the wolves if blessings from God were nothing more than cash flow and nice things. He gives us so much more than just what we think we want. He gives us what we need. This often takes the form of precepts. These precepts are very loving in nature. In fact, by definition, a precept is a general rule that regulates thought and behavior. A precept is a loving thing. It keeps us from being tossed back and forth by everything else that seeks to own and then destroy us. The laws of the Lord ground us and make us able to stand. David said that his blessing is that he has kept the precepts of the Lord. In other words, his obedience to the laws laid out by the Lord are the blessing. I have often looked at obedience as the sacrifice but this can’t be truth because God’s laws aren’t laid out to be cumbersome but to protect and nurture our ability to stand and grow and move forward. This is how Jesus is able to make the statement that his yoke is easy and his burden is light. He does not weigh us down; he sets us free. The intent of the Lord is to build us up, not to place a weight of laws around our neck that would sink us. This idea is entirely contrary to the cross of Christ. At the very core of all the possibilities of the cross we find the loving precepts of the Lord meant to regulate us and hold us fast in our thinking and behavior. The cross makes redemption possible and walking in obedience as we experience sanctification truly is the blessing. This journey of Christianity is hard! It’s dangerous and the paths we have to walk become treacherous sometimes. Just as David did, we must remember the name of the Lord in the darkest of nights and remember that the obedience to his precepts are what will keep our feet firmly planted on the path. Not a single one of us is a hero. We are simple sojourners on a sanctifying trek home. The truth in this statement is humbling and such a reminder of what we are to seek. We ought not be so busy attempting to make a name for ourselves but rather we should be busy making much of his name. We aren’t heroes! We are broken urchins who have received undeserved kinship into royalty and in the process of becoming royal, the precepts of the Lord are for our safety and keeping them is our immense blessing. What a blessing to have run across your blog today. You are so right. The Christian journey is no bed of roses. I have truly enjoyed reading several of your posts tonight. Obviously heartfelt, and beautiful read! Thank you for sharing! Thank you each for your kind words. I look forward to reading your blogs. Thank you for reading and following!